The ban would apply to Quebec Crown prosecutors, judges and any public employee who carries a firearm. There are also new rules that would require citizens to uncover their faces to receive a public service for identification or security purposes. 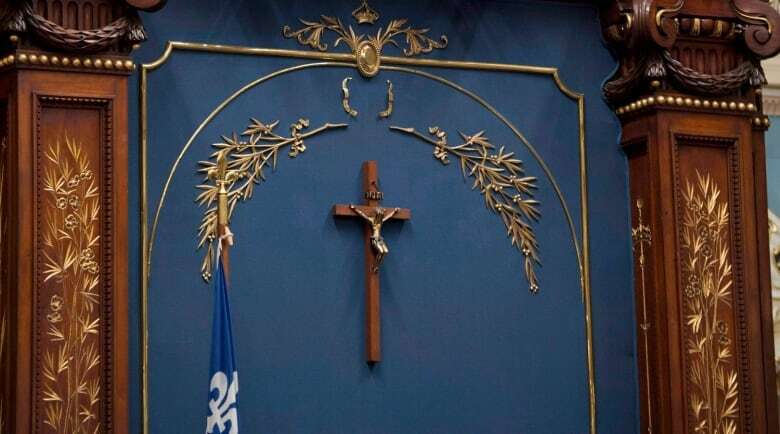 Earlier Thursday, the CAQ government also announced that if the bill passes, it would introduce a motion to move the crucifix that hangs in the National Assembly’s main chamber to a different part of the building. The crucifix was installed above the Speaker’s chair in 1936. A government-commissioned report into secularism and identity issues recommended in 2008 that it be removed, but no government has done so. Premier FrançoisLegault said Thursday he agreed to exempt current teachers and move the crucifix in an attempt to secure greater support for the proposal and, he hopes, to put an end to the debate once and for all. Before the bill was tabled, Prime Minister Justin Trudeau said Thursday that he was concerned about the CAQ’s plan.